Your Net Worth Is Lying to You; Don’t Let Your Family Be Fooled! I like to kick-off my posts with a bit of excitement. What could be more exciting than a race? Three men, Mr. Income Over-Achiever, Mr. Frugalista and Mr. Procrastination want to race $100,000 for a year to see who earns the greatest net worth. So they all go to the local 7/11 and pick up a scratch off ticket. Lucky for these men, they aren’t real, which explains why each of them wins the $100,000 they need for their various investments. Mr. Income Over-Achiever decides to take his money and invest in his 401k plan. So he directly deposits $100,000 from his paycheck into his employer account and for some reason, the government waives the maximum contribution limitations. In one year his investments earn 7 percent after fund fees and he is feeling quite superior with his $107,000. Mr. Frugalista is really worried about all the debt he took on last month by buying a home. He decides to pay the balance of $100,000 on his home worth $100,000. The housing market appreciation has finally rebounded from record stagnation and Mr. Frugalista’s home appreciates 3 percent to $103,000. If you said Mr. Income Over-Achiever, you need to listen to the rest of the story. Why Net Worth is a Liar! Let’s kick up the intensity of the post with a little infamy shall we? A crew of kidnappers was in the store when the three money racers won their combined $300,000. They spent one year planning a foolproof plan to ransom the men’s wives for $100,000 a piece. Mr. Income Over-Achiever cashed out his 401k to pay the ransom, but after 25 percent in income taxes and a 10 percent penalty for withdrawing before the age of 59 ½, he only had $70,250 to pay the ransom. He had to rob a bank to make up the nearly $30,000 he still owed the kidnappers and spent the next 25 years in state prison. Mr. Frugalista sold his house to pay off the kidnappers. Luckily, he got the market value of his home -$103,000. However, he had to pay the realtor a 6 percent commission. That left him with $96,820 to pay the ransom. He borrowed the rest from mom and moved back in with his parents. Mr. Procrastination simply handed over $100,000 and went back to watching Battlestar Galactica. That’s weird? What happened to Mr. Income Over-Achiever? His net worth was far greater than any of his friends, yet when it came time to convert the value of his invested assets to cash, He had about two-thirds of the money he boasted. Mr. Frugalista had estimated his net worth to be 6 percent higher than what cash he could actually bank. How can that net worth number you’ve been tracking so diligently, be so incorrect when it comes time to convert financial instruments? Now, before someone points out that Mr. Income Over-Achiever should have put his money into a Roth IRA instead of a 401k, you need me to explain the dangers of listening to net worth’s lies. Net worth is nothing more than your nest egg and a nest egg is useless until you use it. If you want to become wealthy, you will probably need to invest in various financial instruments and that means paying conversion costs when you want to use your net worth. Your equity might be part of your net worth, but it’s not really how much money you’d have converting your house to cash. You may want to add your trade account balances to your net worth, but after taxes, you’ll only have a fraction of your statement totals. Net worth rarely tells the truth about how much value in cash you really possess. When you make financial decisions based on maximizing net worth you run the risk of holding less potential value than alternatives in a world of financial vehicles. Now you can bring up investing in a Roth IRA. The rules of the Roth IRA would have let Mr. Income Over-Achiever take back his $100,000 and keep his $7,000 locked away for retirement. This world is full of financial instruments and many of them have various advantages and disadvantages when it comes time to make conversion from wealth to money. It’s not good enough to simply seek maximum net worth and leave costs out of your financial decisions. These costs can have a major impact on the true value of your wealth. I don’t know about you but I’d rather command actual value than have an impressive net worth number on the top of a piece of paper. Do you know your own net worth and if so, how much of that number could you actually get if you needed to spend the money? Do y0u used different investments to take advantage of different conversion costs? What your conversion cost strategy? Interesting point. We do actively track our net worth – it’s a link on our main page if you want the details, but we don’t make spending decisions based on the totals. Thanks! You do probably make saving decisions based on those numbers. Like how much you have saved in regard to your ultimate retirement goal. It’s important to note that a 401k and Trad IRA are over-stated net worth. Your mutual funds will need to be sold one day and conversion costs will be 20%. Personally, I track my net worth, but my real worth as well, because it’s important to know where your assets actually stand. I’ve never thought of net worth in quite this way–seems like a very legitimate point! Clearly, what matters is ultimate spending power, unless perhaps one is saving purely to accumulate an inheritance or for some other purpose than self-consumption. Exactly. I think too, how those conversion costs might change over time and effect the actual value of your wealth, so that you are making balanced decisions based on actual wealth and not paper wealth. I don’t base my decisions off of net worth but I so track it to make sure I am headed in the right direction. I wouldn’t ever invest 100k in a 401k if I didn’t have an emergency fund. Same thing with paying off a house! You’ve never tried to maximize net worth in your financial decisions? Additionally, you’d build up $100k in an emergency fund? The point of the 401k was to pick a high interest investment that also has high conversion costs. That waynet worth wasn’t as big as it looked on paper. Did investor number 3 hide his winnings from the IRS? I’m confused here – even if investor #1 had a one-time waiver to invest in his 401(k), the other two still would have paid up front – in at least the 28% bracket (or 25% – depends if they are single or married). It’s a tax free million scratch off ticket. Then why did the idiot put the money in a regular 401K? The purpose of a regular 401k & the reason the entire withdrawal is taxed is because it is pre-tax savings. He would have been far better served to put it in a Roth 401K or Roth IRA or just invest it without the retirement vehicle. He lost 35% of the winnings due to his own stupidity. Had he invested in a Roth he could have withdrawn the 100K taxfree, same if he had invested it in a mutual fund without the retirement vehicle. #2s mistake was he made a really poor financial choice in where to put his money. While I get your point that net-worth does not equal liquidity, I think the story is a poor potrayal of this idea. The story was interesting enough to provoke a response. In my book; mission accomplished. You are preaching to the choir on the rest of your points. However, most people do not think about conversion of their financial assets when they make an investment decision. Unless you are talking retirement, advice for finance is usually focused on what will bring you the most net worth or boost cash flow. Conversion is just as important, because if you think you may need to convert an investment, there are great options like a Roth IRA. Yes…and yet when you die, your estate tax is calculated on your net worth – even though you cannot actually convert it to cash at that level!!! Interesting article. 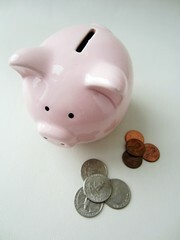 We, as a couple, track our net worth month by month and stay away from unnecessary debt that can reduce our net worth. We are doing so for 2 last 2 years and we seeing it growing month after month. but our net worth isn’t liquid. It’s motivating to track net worth, but I’d avoid using it make serious financial decisions like retirement or cancelling your term life insurance policy. Also understand that you are richer on paper than in real life. This is a very dumb analogy. Why does the first guy have to pay taxes when the other 2 do not? Its knocking a vehicle that allows you to save money pre-tax as a bad thing?? Also why couldnt this guy take a loan against his 401K, ie borrow 100K and still have his 107K balance? How about a more realistic scenario for guy 3 where he pissed away the 100K on a giant screen tv, a years worth of Dominos pizzas and the ultra rare limited edition gold plated boxed DVD set of all 4 seasons of Battlestar Galatica with special unseen footage?? The analogy is supposed to be entertaining; not plausible. If you are trying to figure out the best way to “invest” the money they won, you are wasting your time. The point is that the amount in your trading account/savings account/bank account/real estate assessment is not the amount of money that you really command when it comes time to use it and using it is the point to having financial assets. Often, net worth makes our wealth look greater than it truly is. The conversion of assets to money is an important consideration to where you place money, especially extra money. I stacked the table against the stock saver as a way to bring this to light. Of course there are plenty of stock opportunities where he’d come out on top; mutual fund or Roth IRA to name a few. By the way, most 401ks have borrowing limits. Mr. Income Over-Achiever probably couldn’t borrow more than $53,500. The other two people are going to have to pay taxes as well. Plus there are some limitations on Roth IRA withdrawals. This article is too contrived to be practical. I sure hope no one is reading the article for advice on what to do when you win $100,000. The point is that your financial investments have conversion costs and those costs can impact your financial situation in the here and now. It needs to be part of your decision making when deciding the best balance for your financial assets. What happened to Income Over-Achiever original tax deduction from putting money into his 401K? Why didn’t Mr. Frugalista get a HELCO or refinance his mortage. Why didn’t Mr. Procrastination at least put his money in a money market or 1 year CD/bond. Also wouldn’t Mr. Procrastination be making mortgage payments and 401K contributions during the year. So Mr. Procrastination still wouldn’t have enough money to save his wife. All are interesting alternatives that are worth considering.